All organic materials contain carbon. During its lifetime, a plant or animal aborbs carobon (14C and 12C) from the atmosphere. Once it dies, its radiocarbon clock beings to tick down as the amount of 14C begins to decay into 12C. This happens at a constant rate, known as the half-life. Radiocarbon dating is based on the half-life of carbon isotope 14 (written as 14C) as it undergoes radioactive decay into the carbon isotope 12 (12C), which is stable and does not decay. Physicists can measure the ratio of 14C to 12C and calculate when the organism died. The half-life of 14C is 5730 years, which means that after 5730 years half of the 14C will have decayed into 12C. The thing is the process isn’t that exact! “A.D. 550 +/-50”: the real date of this artifact is between A.D. 500 and A.D. 600 because the results of radiocarbon dating are always estimates. Nothing that has died after 1950 can be dated using the radiocarbon method. Nuclear tests in the 1950s and 1960s threw off the natural ratio of carbon isotopes. Radiocarbon dating methods have really improved over the decades. In the 1940s physicists need really large samples to test radiocarbon—they would use a Geiger counter to literally count the rate of decay and it wasn’t very accurate. But in the 1970s a new method that used a fancy piece of equipment known as an Accelerator Mass Spectrometer (AMS) was discovered. Radiocarbon tests that use AMS are a lot faster, more accurate, and can date even very tiny samples, even corn kernels! 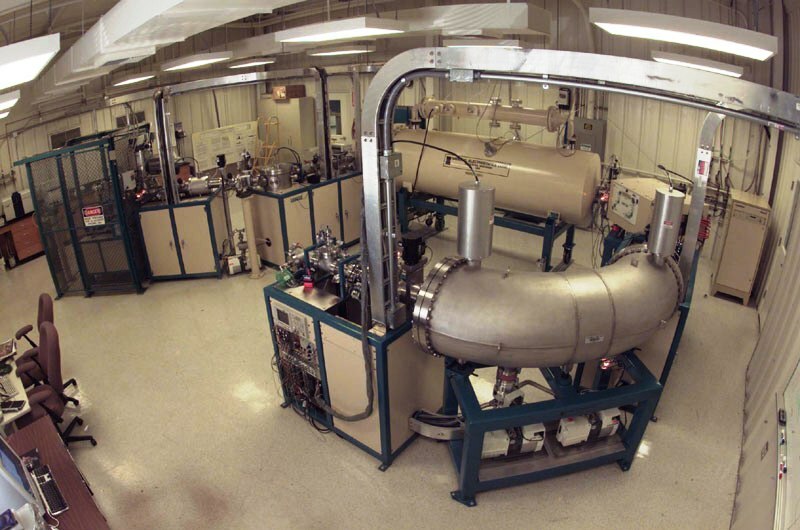 An accelerator mass spectrometer used for radiocarbon dating. In addition to radiocarbon dating being expensive and sometimes inaccurate, it also takes time, and most labs have long wait lists. It can be a long time before archaeologists are able to get the results of their tests. Regardless, radiocarbon dating has become a media and movie darling, making it one of the most well known techniques for dating artifacts. Paul Bahn, and Colin Renfrew. Archaeology Theories, Methods, and Practice. 5th ed. London: Thames & Hudson. 2008. Does the museum offer AMS dating service? If yes, could you kindly let me know the price, approximate wait time and process/requirement/form? I recently purchased a wooden bench, and would like to know its age. Sounds like an interesting find! Unfortunately, we do not carbon date wood. Cost wise it varies but ranges in multiple hundreds of dollars.